Our Chair of Governors can be contacted via the School Office, or letter posted to the School's address. Below is the full Governing Board. The list shows the route by which each person was appointed as a Governor (the Type of Governor) and the particular links and responsibilities held by each. Below the list are some brief details and a photograph of each Governor. My family moved to the Wilbury area of Letchworth in 1972. In more than thirty years of working for Hertfordshire County Council, I taught nursery, infant and junior children. I was headteacher of two primary schools, an Ofsted Schools’ inspector and a Schools’ Development Adviser working closely with teachers, headteachers and governors in primary schools. In the latter part of my career, I wrote and produced anti-bullying resources for primary and secondary schools. Now retired, I work as a volunteer in a home for the elderly. 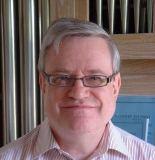 I’m a member of the North Hertfordshire Guild of Singers; I play Bridge and enjoy my family life, home and garden. During my professional career, providing the very best education for the children in my care was a life-long passion and I am now committed to offering my wholehearted support to pupils, staff and parents of Wilbury Junior School. My connection with Wilbury started when I attended the school as a pupil many years ago. Years later after my son was born he attended nursery at Icknield and I became a governor of the then joint governing body with Wilbury. I maintained the connection with Wilbury when each school was required to have its own governing body. My daughter also attended Wilbury and I remained as a parent then local authority governor. Both my children are now grown up but I have remained a governor with Wilbury in various capacities including chair, vice chair and committee chair to help the school so that every child can ‘Be the best they can be’. I have been the Vicar of Wilbury for the last 14 years and before this I served in a variety of parishes in South London, Kent and Hertfordshire. My previous occupations included a Team Leader within Children’s Services in three inner-city London Boroughs with responsibility for Child Protection and Mental Health. I have experience of being a school governor in a number of schools and I have seen the impact that a good education can have on individuals and communities. I am committed to the Wilbury school and its community and I work to ensure that all children receive the best education possible, which is why I have continued being a school governor for a number of years. I have extensive experience in people, project, programme and business management coupled with many years of assisting organisations of many shapes and sizes to grow and flourish. I worked for Unisys for 27 years in a variety of roles before returning to my first love and have been working as a freelance organist and choral director since 2002. Mary & I moved to N Herts in 1982 and have been running a successful music tuition business here ever since. Like many others, I commute south to work, in my case as Director of Music and Parish Administrator of All Saints’ Church, Hertford. I was delighted to be approached to become a governor at Wilbury and to be able to join with and contribute to a team committed to working with everyone to grow the school, encourage its staff and support parents in doing the best for all our children. I joined the Governors at Wilbury after we moved to Letchworth and my daughter was in year 4. I wanted to understand a little about how the school fitted into the community and what the school did to promote its values and encourage the children to learn. My working life has seen me working as an editor and working on both coffee table books and qualifications for City & Guilds and BTech qualifications, so I was interested to see how the younger children are taught to achieve in ways that will help them at higher levels of school. It always surprises me that my children are doing things at junior school that I did at secondary but I love the fact that my children now challenge me and show enthusiasm for the things I didn't like at school, so their teachers are obviously opening the world up in ways that they find inspiring. I will have a daughter at the school for the next six years, in different classes, so I have an incentive for the school to 'Be as good as it can be' for that time. If I can be party to making the school keep that focus on those values, I will feel that my time as a Governor has been worthwhile.